Bodhi Linux is mainly built around two things - the Enlightenment desktop and a minimalistic approach to software. Even with these goals stated we still have users (and review writers) that complain about the lack of pre-installed software Bodhi comes with by default. In order to provide a fairly clear view of the importance of the use of a SSL Certificate to support electronic transactions through an e-commerce website.You should understand the concept of the protocols used on the web. You can find the ISO (and md5sum) for the disc hosted on source forge here. If you'd like to make suggestions for Timmy, you can find a forum thread he has posted here. Good idea for people reliant on a dongle for Internet access. Not really " bloated", but not too " minimalist" either. I would suggest this should be a boon to Internet Dongle users with limited financial resources who don't want to spend their pay and go on downloading programs. The average user might as well be downloading this instead of the normal Bodhi because most users are going to be downloading the majority of the things included in Bloathi anyway to make their default and "minimalist" (useless) Bodhi install actually productive and useful for something. Calling this version Bloathy because it already provides many of the things most people will be installing anyway is just silly. I will never forget the one time i saw on the Bodhi forums a thread that Jeff Hoogland started where he was talking about how he is wanting to find something more lightweight than LXDM as the login manager for Bodhi. And the LXDM program is less than one megabyte in size. Some people truly take things to ridiculous extremes when it comes to concepts of lightweight or bloated. And calling this remaster Bloathi is yet another prime example of that. 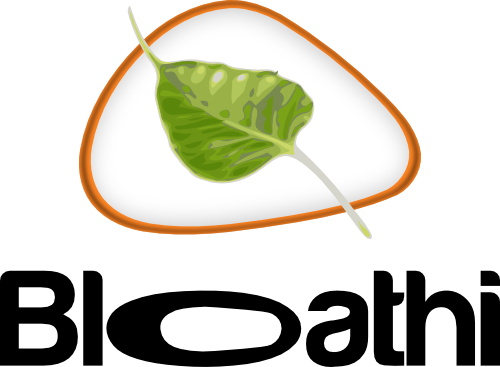 "Bloathi" was not my name. I did not produce this ISO image, simply wrote a short post about it. You are also taking the LXDM post out of context. It was along the lines of looking for something as light as LXDM, but supporting more features is what we want. Odds are we will be moving to LightDM come our 2.0.0 release. Well i wasn't saying that Bloathi was your creation or named by you. But here is exactly what you said on that forum post that i mentioned. And no, i didn't take it out of context. "LXDM is decent, but I really would like something lighter (SLiM is out of the questions before someone suggests it - does not play well with E). Both good ideas I believe." Yep. And both LightDM and Elsa support more features than LXDM as stated above. features were never talked about anywhere in the thread, just "lighter"
I always look at "light" in relation to features brought with size. For instance even if light DM is the same weight (or less) than LXDM it offers more features. Thus it really is lighter. I live in the USA. Last I checked it is very much illegal for me to distribute software containing flash, codecs and libdvdcss - so even if I wanted to. I couldn't. what about including tools to automate the process... like Ubuntu? Any suggestions for this disc need to be directed to the disc's creator. Writing on freshly installed Bloathi. RunEverywhere window was not wanting to go away in LiveDVD with Escape... now working in installed. Install icon was not shown on the desktop, but opening the Destop directory, the file was there and I was able to run it. Running with 56k modem, used pppconfig, working very well. Thanks a lot! if you live in the US, why does bodhi default to Sophia, Bulgaria timezone?